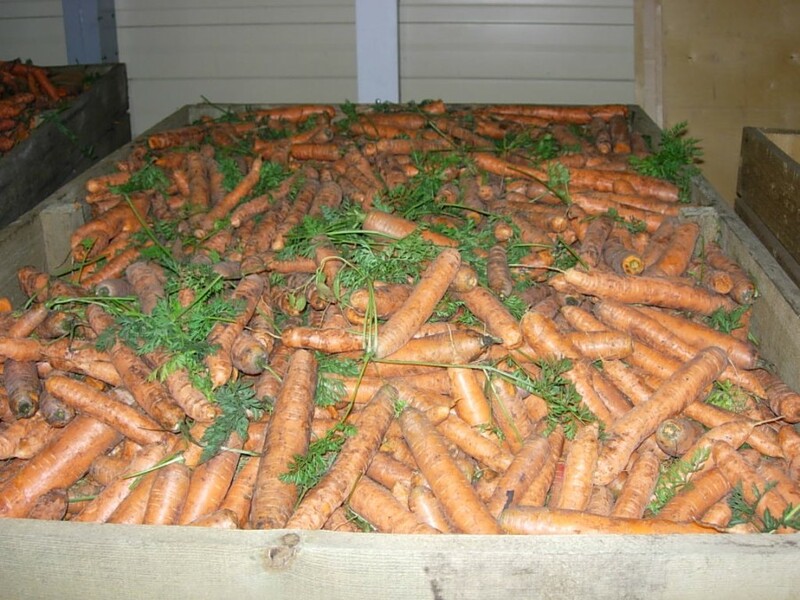 The «Komsomolskoye vegetables» farming company (subsidiary of the ‘Hail to potato’ farming company) produces up to 1500 tons of carrot and up to 1000 tons of beet per year. Vegetable seeds are purchased from western seed-production companies. Carrot is grown on mounds. It is planted in two lines with the 75cm inter-row spacing. This planting method suits perfectly for combine harvesting. The carrot sorts are chosen in accordance with the customers’ needs: chantenay carrot is produced for producers of the Korean carrot salad, soprano and nanco carrot is sold retail. Beet is produced in beds. When we choose seeds we pay attention to a good marketable condition and perfect storability. Taste is also very important for consumers. The vegetables are grown with the application of irrigation. We use roll-type irrigation machines. The company possesses storage facilities for vegetables equipped with a computer-controlled system of microclimate control. Ex-warehouse delivery is available from autumn to spring after preliminary sorting and calibration.